How do I import just teachers when integrating with Sentral? A school consists of both teaching and non-teaching staff. Non-teaching staff such as groundskeepers or canteen staff do not sign into the eDiary, so why are they listed in there as staff? 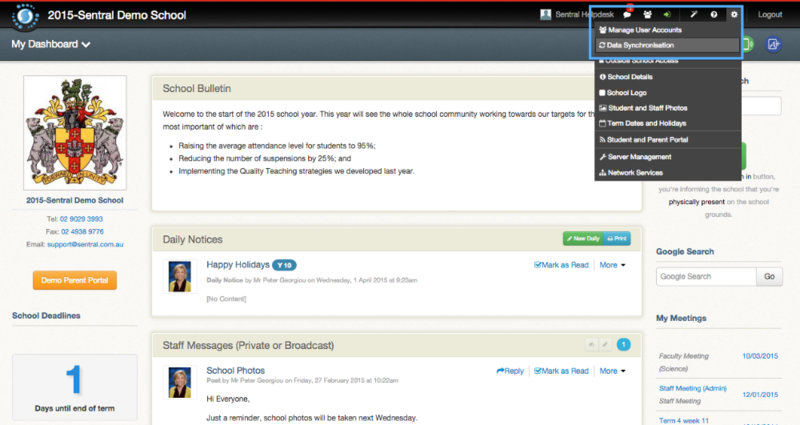 If your school integrates with Sentral, you can set up Staff Type Mappings so that the only staff in the eDiary are those who need to be in there. In this screen set up the Staff Type Mappings as desired. In this screen, click Turn Sync Off beside the Staff Types that do not require Syncing. The next time Sentral syncs with the eDiary (normally overnight) your changes you have made in Sentral will be reflected in the eDiary. 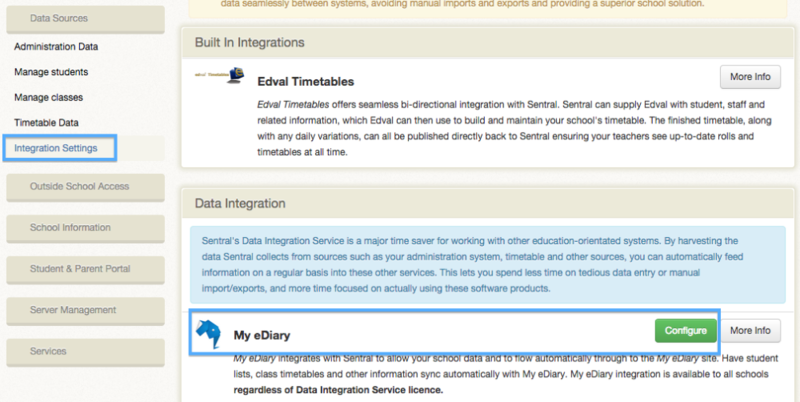 Can a link to MyEDiary be added to the Sentral Dashboard? Which Student Management Systems does MyEDiary integrate with? Which data can be synced via an integration?